Ocular herpes is a fairly common diagnosis in the world of ophthalmology. In fact, an estimated 400,000 Americans have been diagnosed with the disease, with each year adding 50,000 cases. This eye disease can advance progressively, meaning that it can become worse as time goes by. This eye disease is the number one cause of corneal blindness in the United States alone. Here are some things you should know about this eye condition. This disease can cause permanent corneal damage if left untreated. It is mainly spread through coming into close contact with persons who have the simplex virus. The virus generally enters the body through the nose or mouth. However, the virus itself must be active to be transmitted to other people. With that in mind, once infected the virus can lay dormant for many years without ever showing signs of activity. For some people though, symptoms may start much earlier. This form is said to be the most common among the three. Keratitis does the least damage to the eye and the surrounding tissue since it only affects the epithelium of the cornea. 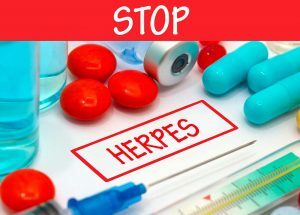 However, if herpes keratitis is left untreated for a certain amount of time, the infection begins to rewire our immune system into attacking our stromal cells. This form of ocular herpes is a bit more severe since the infection further spreads itself into the inner layers of the cornea. It is the aftermath of untreated herpes keratitis. Once an infection has reached a specific layer of the cornea, scarring becomes inevitable. Other effects of this disease include loss of vision and occasional blindness. The logic behind why the infection is able to reach the inner layers is because of a late immune response. As the name suggests, this form of ocular herpes is found within the iris. The iris and its surrounding tissues become susceptible to inflammation, redness and increased sensitivity to light. Since this form of ocular herpes occurs within the frontal portion of the eyes, it can reach the retina. When that happens, the infection will be known as herpes retinitis. The signs and symptoms experienced with ocular herpes are heavily based on the cornea and its condition. However, as this eye disease is still an infection, other symptoms which are unrelated to the eyes may occur. Since these symptoms are so numerous, there is a very high probability that they’ll be overlooked during the early stages of the disease. The risk factors for eye herpes are first and foremost reliant on the exposure to the virus. Naturally, there will be much less of a risk if you aren’t exposed to the virus at all. Secondly, touch is another factor that can determine your risk. If you aren’t much of a social person, and generally try to avoid touching people, then you are less likely to contract the virus. While touch may seem like an insignificant thing, it is important to remember that we as a species spread thousands upon thousands of diseases each and every year. Through a series of simple acts, such as shaking a hand and then wiping your eye, it is possible to contract ocular herpes. If you are by chance infected, but the virus remains dormant, there are still several things that can trigger an outbreak. For example, stress, fever, sunburn and even dental procedures are capable of causing the herpes virus to flare up. This is similar to the form of herpes that causes cold sores. Ocular herpes is a viral eye disease, meaning that it can be treated by a series of antiviral medication. Anti-viral medication works by destroying diseased epithelial cells and preventing the virus from multiplying. However, the extent of their effectiveness is based on the progression of the disease. For instance, using anti-viral drugs on an infection that hasn’t spread too deeply throughout your system may prove to be more useful than using them when you have a fully-fledged infection. Nevertheless, the type of treatment available is dependent on the form of the disease. Stromal keratitis – Can be treated by taking a combination of anti-inflammatory drugs and antiviral therapy. Epithelial keratitis – Can be treated with eye drops, ointments, or ingestible anti-viral drugs. Your eye specialist may also remove the diseased cells of the eyes through a procedure known as debridement. Iridocyclitis – This form of the disease is mainly treated using steroids. However, if the infection has begun to spread, then anti-viral medications may be prescribed. It is important to note here that because of the many ways in which ocular herpes can manifest in your eyes, there is no single treatment plan. Your eye specialist will be able to figure out the best treatment plan for you and your eyes. As always, regular eye checks are essential in the detection and monitoring of eye diseases. In the case of ocular herpes, symptoms may not be noticeable in the beginning. Therefore, it is crucial that you ask your eye doctor to keep you updated on the status of your eyes. Our eyes are very sensitive organs, and ocular herpes can cause a lifetime of vision problems and scarring if not treated properly. And part of proper treatment is early detection. You should have your eyes checked every 1 to 2 years. If you are at risk of certain factors such as age, genetics, or pre-existing health conditions, then you may even want to schedule these appointments multiple times throughout the year. If you have any further questions about ocular herpes or you would like to schedule an appointment, please get in touch with us here at the New Jersey Eye Center in Bergenfield, NJ. Short Description: Ocular herpes is a fairly common diagnosis in the world of ophthalmology. In fact, an estimated 400,000 Americans have been diagnosed with the disease, with each year adding 50,000 cases. This eye disease can advance progressively, meaning that it can become worse as time goes by. This eye disease is the number one cause of corneal blindness in the United States alone. If you have any further questions about ocular herpes or you would like to schedule an appointment, please get in touch with us here at the New Jersey Eye Center in Bergenfield, NJ.